The Dominican Republic is an island country full of beautiful beaches, exciting excursions, and chock full of gorgeous resorts that are perfect for total relaxation. For your destination wedding in 2019, you may want to consider this beautiful location, where guests of any age will be pleased. Below we are highlighting 5 of our Top 2019 Dominican Republic resorts, and a little bit of what you can expect at each one, from ceremony venues to resort inclusions. 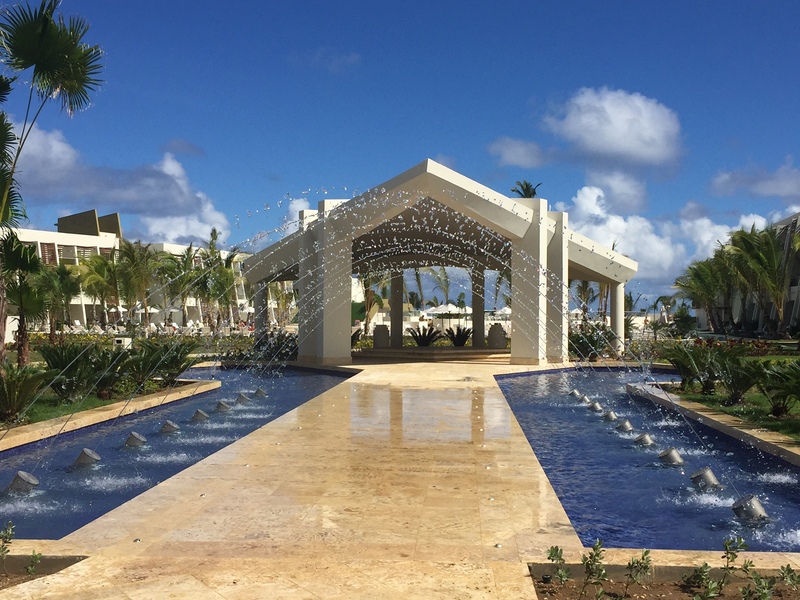 The brand new Royalton Bavaro takes luxury up a notch. Host your destination wedding at one of the many beautiful gazebos, like the Garden Gazebo or the Diamond Club Beach Gazebo, or even the Sky Terrace available at an additional charge, featuring stunning ocean views. There is an endless amount of water activities to explore, from the pristine beach with kayaking and paddleboarding included, or the numerous pools including a lazy river with grotto cave swim-up bar. Consider hosting a group dinner at the C/X chef’s table, which includes a multiple course menu paired with music. 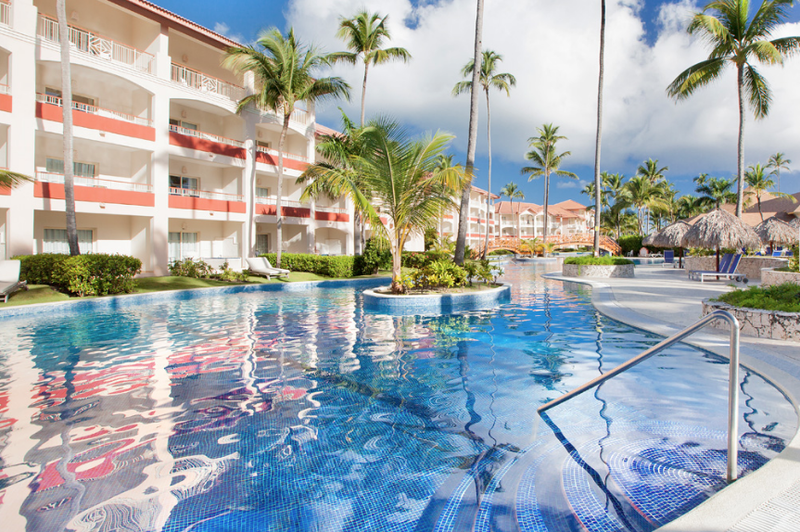 The trip of beautiful Majestic resorts in Punta Cana is truly extravagant. To align your budget and your expectations for a beautiful destination wedding, consider staying at the Majestic Colonial. You’ll find gorgeous wedding venues, like the colonial-like gazebo, plus a wedding department who will cater to your every want and need. Guests will love the delicious restaurants across the property, for even the buffet is inspired and includes local Caribbean delicacies. The beach, obviously, is perfect, large and expansive and perfect for swimming or sunset walks in the sand. The NOW Onyx is deliciously contemporary, the perfect place for a destination wedding. It’s attached to the adults-only Breathless Punta Cana, so guests can stay in the adults-only atmosphere next door or at the modern digs of the NOW resort. The beach makes for the perfect ceremony or private reception venue, and with so many beautiful pools and restaurants to explore, there’s no shortage of entertainment around every corner. 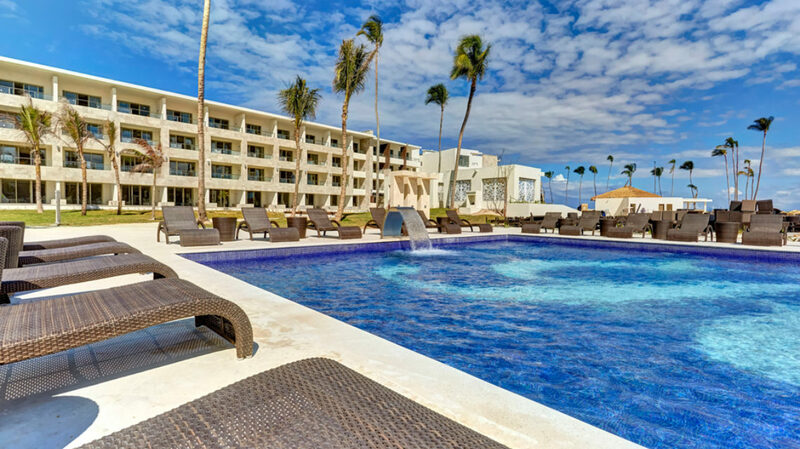 For couples who need a resort that can please everyone, especially if everyone means a large guest list, then look no further then the Hard Rock Punta Cana all-inclusive resort. The activities and restaurant options are long and enticing, and the huge resort has everything a person could want. Whatever you desire for your wedding ceremony, Hard Rock has it, from over-water canals to beachfront gazebos, and with over 13 pools and a large beach, you’ll never run out of places to swim and relax. Depending on the number of guests attending, you’ll also gain access to special perks, like free cocktail hours and private functions where everyone can celebrate! 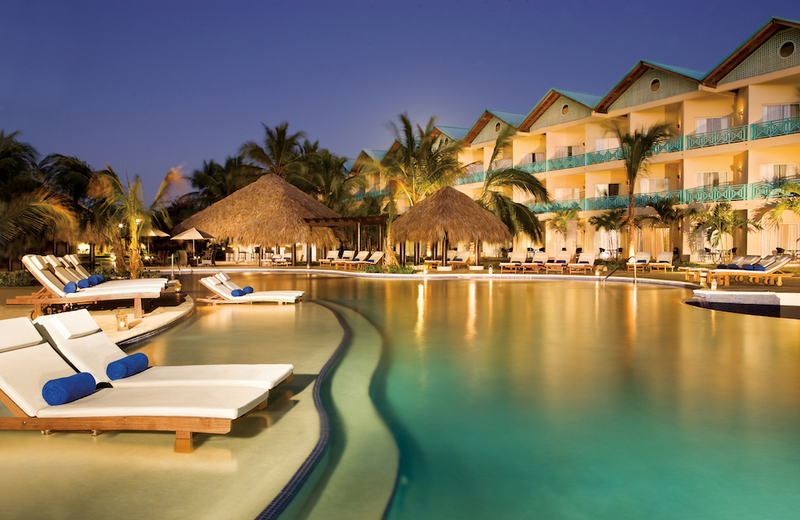 The new Hilton La Romana offers both ultimate relaxation and picture-perfect beaches. The resort offers a diverse range of wedding venues, from over-water piers to beachfront garden venues, and ceremony decor that will fit any taste. On-site guests will enjoy the disco or casino, and the resort takes pride in their efforts to be environmentally aware, having won several awards for their involvement in eco-friendly programs. Whether intimate or extravagant, the Hilton wedding department is ready to make your destination wedding fantasies come true. Ready to explore all the Dominican Republic has to offer? Click the button below to learn more about the beautiful country.